Berries, known for their nutrient and antioxidant contents, classify as “Superfoods.” However, the overwhelming choices coupled with clever branding strategies in the market may be confusing and at times misleading to consumers. Fact: Despite being eye catching, bigger berries often lack flavour, juice and nutrients as compared to smaller ones. Their skin to water ratio reduces with increasing size. The nutrients in berries are usually centred on the skin. Fact: If a berry kept for three to four days remains intact, it was most probably picked very raw and may have been synthetically preserved to sustain a lower water content, firmer flesh and longer shelf life. On the other hand, a freshly picked berry would last a maximum of one or two days. Such a berry would have more natural flavours and higher nutritional value. Fact: If the berries look uniform and picture perfect, there is a high possibility of synthetic processing to achieve an aesthetic brand image, high volume and lower spoilage. Natural berries may not look as appealing, yet they promise more flavour and nutrition than the mass produced and branded. Juicy, sweet and beneficial berries are expensive and highly perishable items if purchased at a grocery store. Given the benefits associated with them, brands see an advantage for higher pricing. Interestingly, with time and space, it is even possible to grow a selection of berries at home. 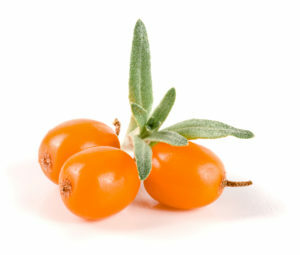 This berry has only gained recent popularity due to its indigenous breeding in South America. An inch-long, reddish-purple fruit, its pulp is richer in antioxidants than common berries such as cranberries, raspberries, blackberries, strawberries, or blueberries. The Acai berry need not just be consumed to reap its benefits. It can effectively replace other tropical oils in cosmetics such as creams, shampoos and conditioners. 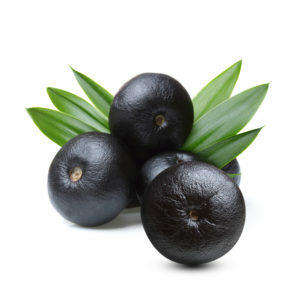 The oils from the Acai berry increase in their antioxidant levels over time if they are naturally preserved. The berry has a fruity red wine flavour with chocolate overtones and it is best pulped along with its skin. Acai berries are a perfect balance of antioxidants, amino acids, fibre, essential fatty acids, vitamins and minerals, promising to be an energising fruit for its consumer. Native to the Himalayas and China, its history lies in a medicinal plant. Its wealth of Vitamin A and C, fibre, iron, zinc and antioxidants has made it a natural treatment for eye, liver and kidney ailments. 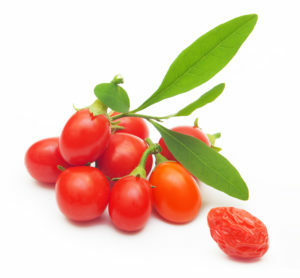 Presenting themselves in a cheerful red colour, goji berries have a sweet and sour taste and are best consumed in dried form. Easily found in most parts of the world, this berry comes in black, red and white colours. Mulberries grown from the seedlings usually yield better shape and health. However, it is commercially grown from large cuttings and fruits during the months of July and August. Each colour of the mulberry has a unique taste. While all colours are widely used in cooking, the white mulberry stands out in taste. It is refreshing and a little tart, with a slightly glutinous feel and a tinge of vanilla. 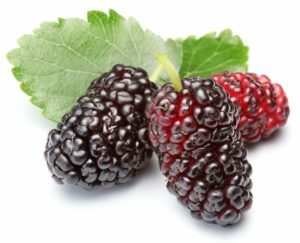 With health benefits similar to other berries, the mulberry stands out for its vitamin C content. Mulberries are highly perishable and should be consumed soon after they leave the plant. The Loganberry is derived from crossbreeding the blackberry and raspberry. It is generally slightly longer than a raspberry with a juicier and sharper flavour. Just like their parent berries, they are rich in vitamins C and K, nutrients, fibre and antioxidants. What sets them apart is a healthy concentration of gallic acid, ellagic acid, and rutin that help purify the bloodstream and the body as a whole.